Enesco Precious Moments “He Cleansed My Soul”. While this porcelain figurine features a Girl Sitting In Tub With Bible, this Precious Moments is also from the Baby Collection. Dated 1997. 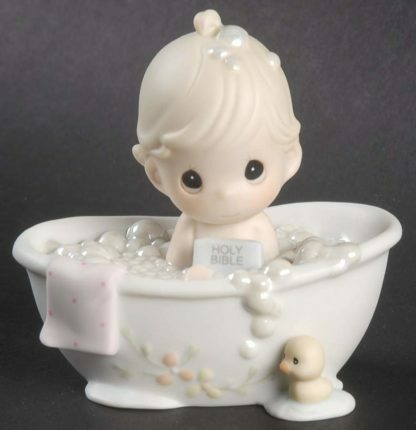 Enesco Precious Moments “He Cleansed My Soul”. 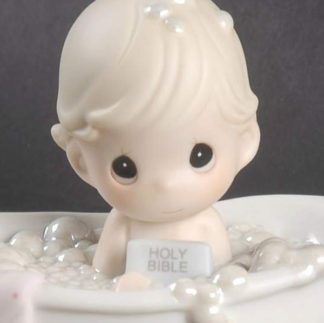 While this porcelain figurine features a Girl Sitting In Tub With Bible, this Precious Moments is also from the Baby Collection. Dated 1997. The Sword production mark is stamped into the bottom of this porcelain figurine, which is the First Mark of Issue. 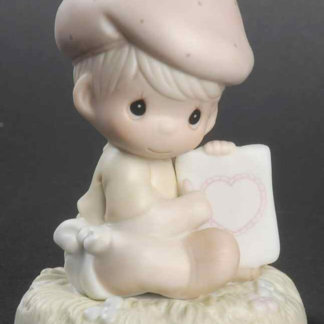 This charming figurine is new, approximately 3-1/2″ tall, and comes in the original box. Beautiful collectors piece for someone who appreciates the Precious Moments works of art. 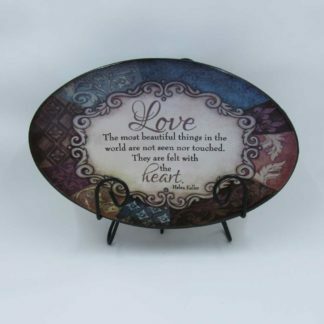 LOVE plate: Gerson International Ceramic Plates with Metal Stands (Copy) Potpourri Room Scenter Candle Holder by Potpourri Press "Hummingbird"